Time for me to show you my first sneak peek from the new 2018/19 Annual Catalogue, coming out June 1. You're probably going to be seeing a lot of this set because every demonstrator that attended the OnStage Events got one! My first pre-order hasn't arrived yet so I'm playing with the free sets that I got at OnStage in the meantime. 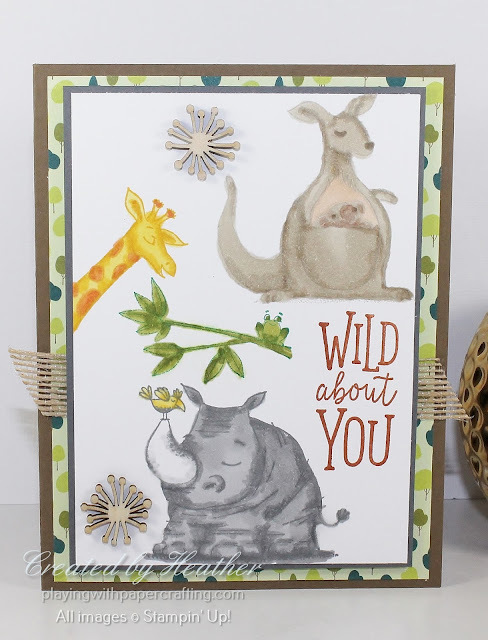 This adorable set is called Animal Expedition* and it consists of these wild animal images plus some great sentiments, such as the 'Wild About You' that I've used on this card. Since I don't have any of the new DSP yet, I've used some of the Myths and Magic Designer Series Paper from the Occasions Catalogue. 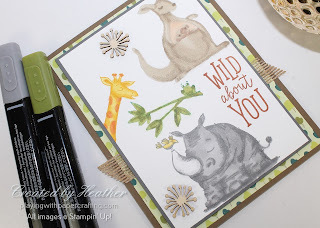 Each image was stamped with coloured ink and then coloured with Stampin' Blends Markers. It's great that you can use your regular coloured Classic Stampin' Pads with the alcohol-based Stampin' Blends without any bleeding or running taking place. 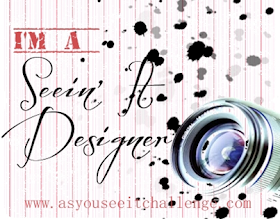 It makes for a much softer look than a black outline. 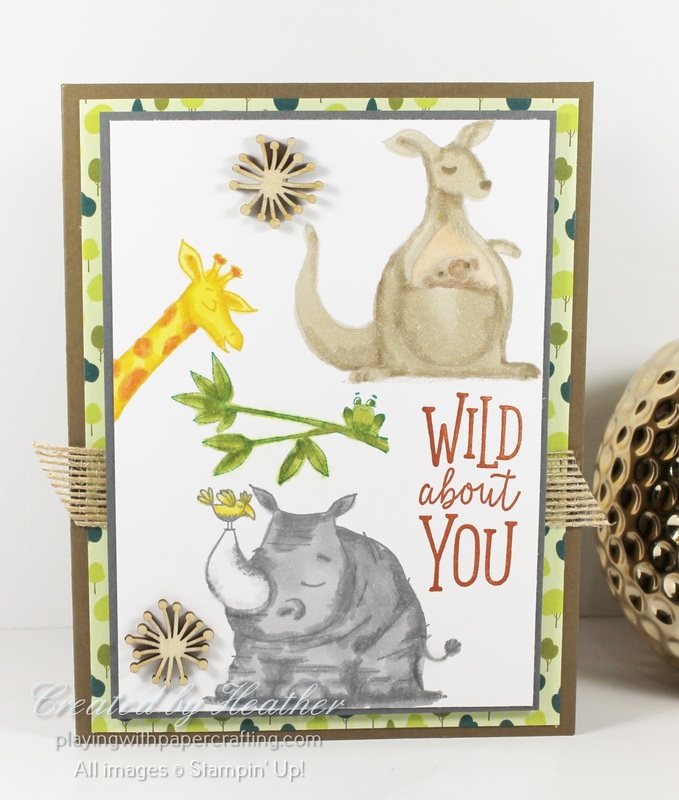 The sentiment, also from Animal Expedition*, is stamped in Cajun Craze. 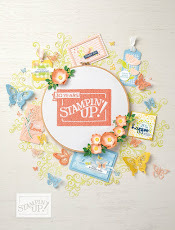 The wood embellishments are from the free gift from March's Paper Pumpkin, celebrating Paper Pumpkin's 5th Birthday. Along with the Burlap Ribbon, they seemed to fit the earthy, nature-based ambiance of the card. There are framelits that coordinate with this stamp set as well, but I will have to purchase these if they are available in the second preorder period. 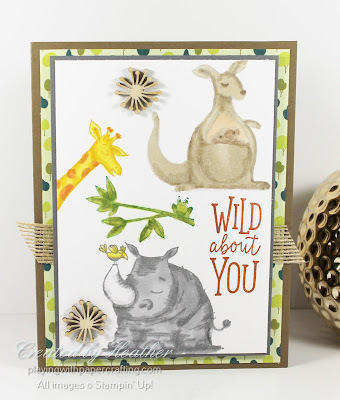 Our Blends have been such an immensely popular item that Stampin' Up! is in a huge backorder situation with them. 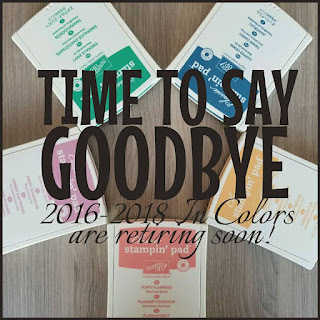 Because of this, the Stampin' Blends have been placed on the Not Orderable List until the middle to the end of May, the way it looks right now. So hang tight until then and you'll be able to place your orders. 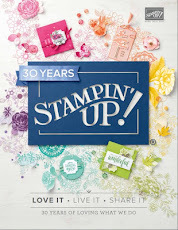 *These products are in the 2018/19 Stampin' Up! Annual Catalogue and will be available June 1, 2018. 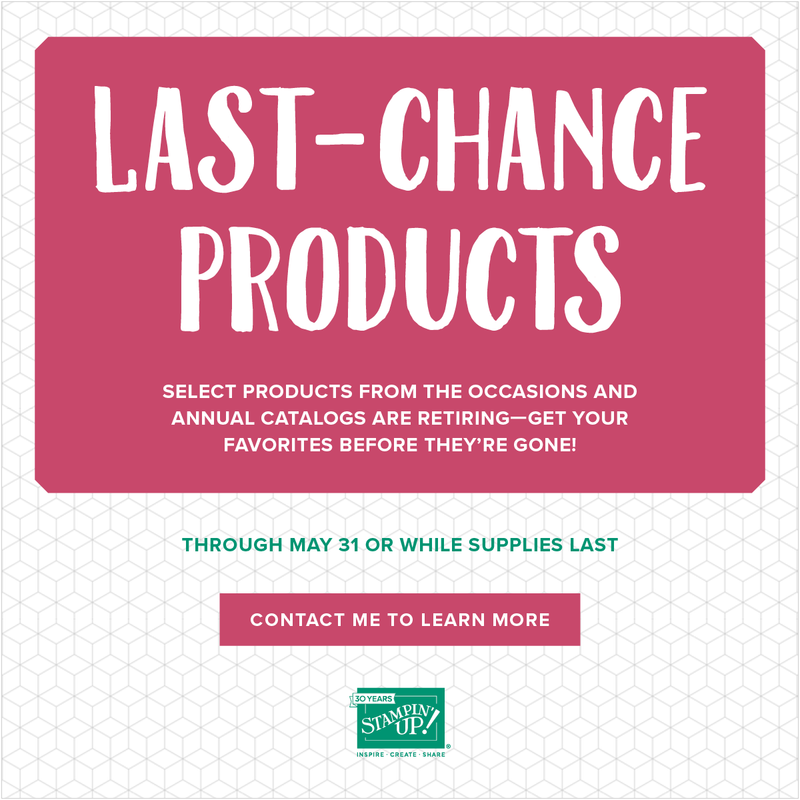 As you know, all retiring products, except for stamps, are available only while supplies last. Each year, ALL the Designer Series Paper in the Catalogues retires, and this year is almost no exception, except for the Wood Textures Designer Series Paper Stack, which must have been phenomenally popular, because Stampin' Up! brought it back for another year!! I've never seen that happen! There are six items that are now completely sold out and two of them are Designer Series Paper Packs: Whole Lot of Lovely DSP and Delightful Daisy DSP. 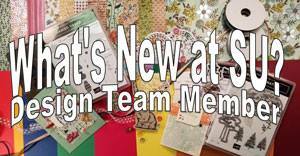 The other four include both Fast Fuse and Fast Fuse Refills, (so it's gone completely now), and the Fluttering Embossing Folder and the Pansy Punch. Don't forget to get your orders in so that you don't miss out on anything that you really wanted because it's sold out! You never know what's going to go first!